There are plenty of reasons to visit Wangjing—if you're looking for a daytime respite from the more touristy parts of town, for a delicious night out with lots of unique dining and drinking options, or even as an off-the-tourist-beaten-path home base for exploring the city. A half-hour taxi ride from the city's bustling center, Beijing's Wangjing neighborhood feels like an urban oasis—clusters of lower-rise high-rise ultra-modern commercial and residential structures, a burgeoning tech-driven business district situated among plush, manicured public green spaces with the graceful curvature of Zaha Hadid's epic Wangjing SOHO complex rising and falling in its midst. There are plenty of reasons to visit Wangjing—if you're looking for a daytime respite from the more touristy parts of town, for a delicious night out with lots of unique dining and drinking options, or even as an off-the-tourist-beaten-path home base for exploring the city. Late last year, the first Hyatt Regency in Beijing opened—right in middle of Wangjing, at the crossroads of the old city and its newer developments, with blue sky views over the neighborhood's central park. 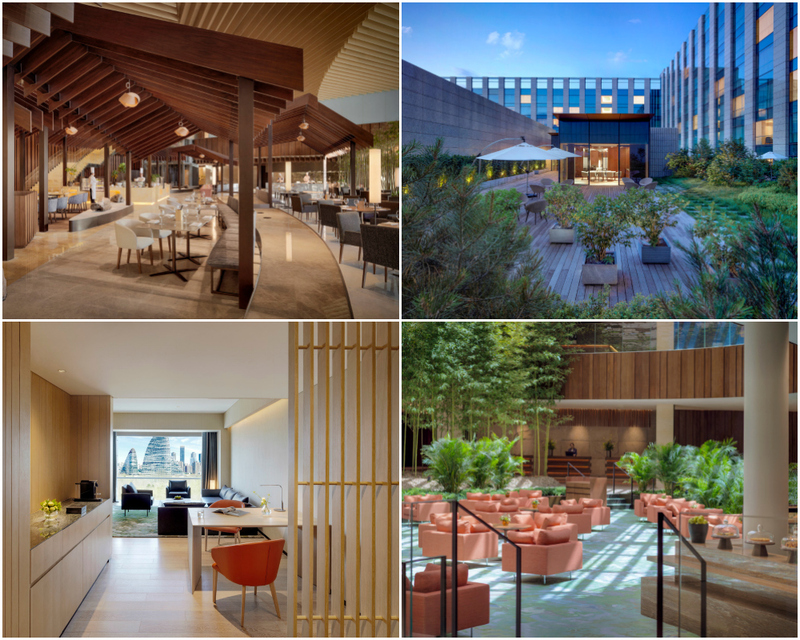 Designed by award-winning architect Kengo Kuma, the three-sided-courtyard style building features design elements spotlighting natural inspirations: wood, stone, and earth, as well as a ground floor "urban forest" (a photo draw for social media influencers). Dine here at Cang Yue, which specializes in Cantonese dim sum and northern Chinese fine dining, and features some excellent Chinese bottles on its wine list. And don't miss breakfast at the hotel's Market Café—a sprawling, natural-light-filled dining space and buffet showcasing lavish seafood spreads and regional specialties from all across Asia—or afternoon tea, selected from an extensive, artisanal tea list, served in the mid-century modern lobby. Wangjing is home to a large South Korean population, and so the neighborhood is known, unofficially, as Beijing's Koreatown. 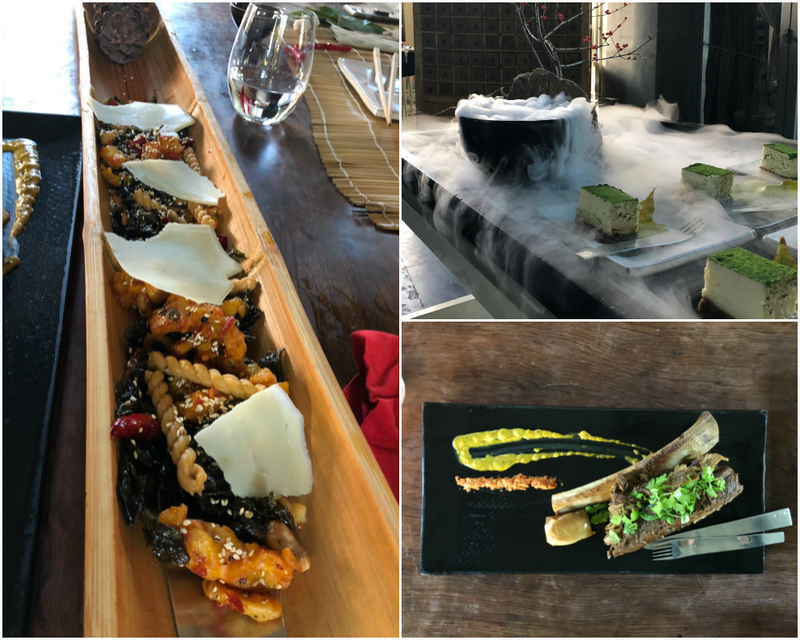 There are lots of good restaurants in the area—Korean, Japanese, Chinese—and you'll find them clustered in some of Wangjing's open-air dining and entertainment complexes that come to life in late afternoons. 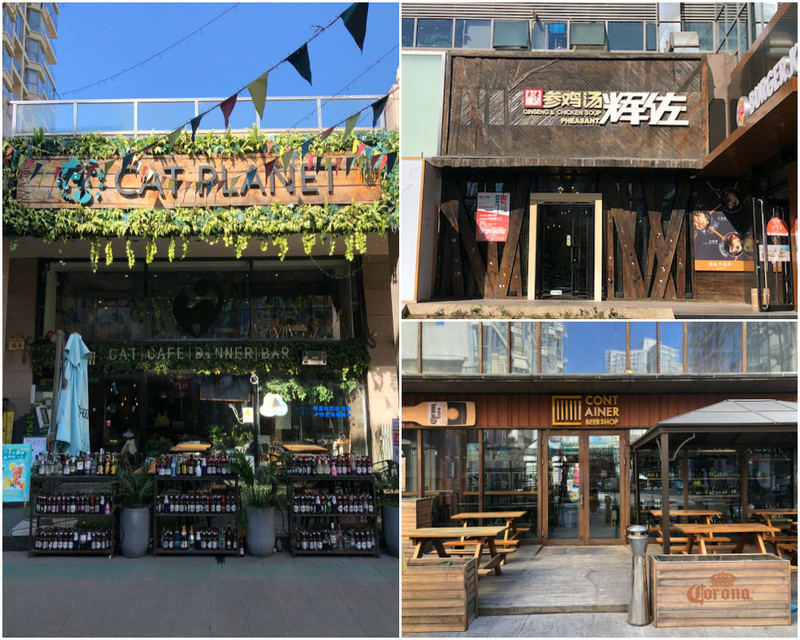 Like the super-popular Kirin Place (11 Fu’anxi Lu, Chaoyang District), which is just across the street from Wangjing SOHO, and offers something for every palate—from a restaurant that only serves (a wide variety of) ginseng and chicken soups to beer bars to a cat cafe-bar-restaurant. For first-time or returning visitors to Beijing, Wangjing is also a great home base for exploring the city at large—because it's situated just outside the city center, traffic is just that much easier to navigate via Beijing's ring roads. 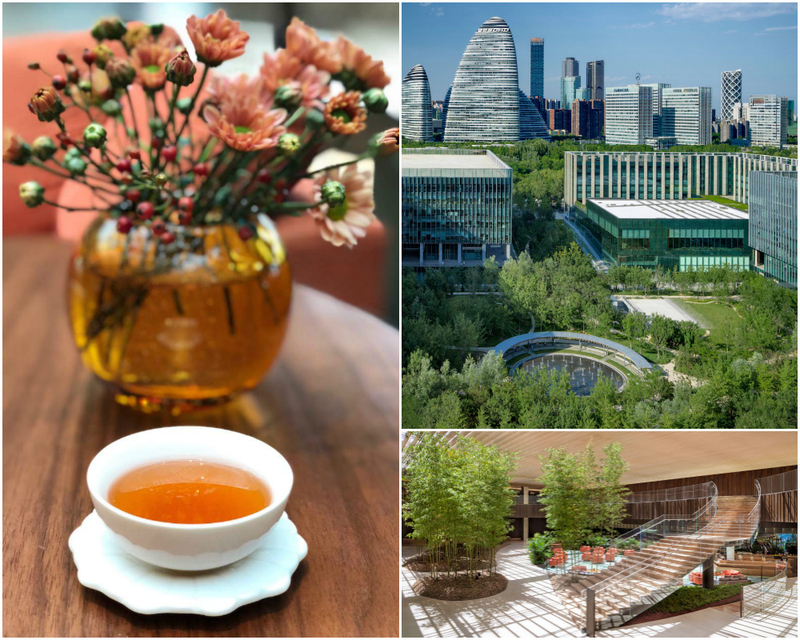 In addition to all the key sights to see, some of my favorite hidden gems are Beijing's modern teahouses, which serve carefully curated tea menus as well as full meals and gorgeous desserts, often in serene, spectacularly designed spaces. Consider spending a leisurely lunch at Green T. House Living (http://www.green-t-house.com/flash.html) on the outskirts of town—a dramatic art-dining great room built within walled garden grounds that serves artistically-presented inspired small plates and shared dishes. Or visit Qulangyuan Tea (25, Dongsi 11th Alley) for a tea ceremony, lunch, or unique tea-infused desserts—all served in private dining rooms or minimalist wooden tables situated amidst glass, bamboo-lined corridors.